I recently received my contributor’s copy of the beautifully produced ‘The Ogham Stone’ – if you get your hands on a copy, you can read my short story Landscape of Mirrors (print version only). They are also looking for contributions for their next publication. Details here (Nov 12th deadline). I wrote an article for the bible that is the Writers & Artists handbook all about how to Stay Motivated and Write Your Book. Also, my article in the Irish Times discusses how moving to Ireland drove me to become a writer. Over on Girls Heart Books, I discuss the importance of finding your tribe. 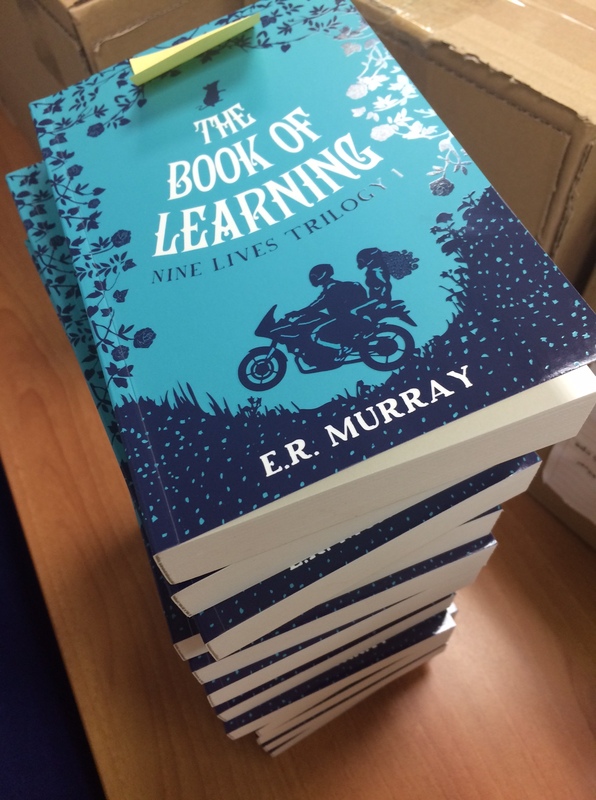 And for writing.ie, I contributed an in-depth explanation of how The Book of Learning came to be – the What, When, Where, How, & Why. I was delighted to feature in the Beginners Pluck column in the Irish Independent, which you can read on Sue Leonard’s website if you missed it in the paper. Middle Grade Strikes Back looks at my journey to publication, literary characters to go on holiday with, and my writing day. There have also been a few radio interviews; Brenda Drumm of KFMradio, also Sunshine Radio, and Barbara Scully’s The Hen House. I’ll add podcasts when I can! I’ve had a wonderfully warm reception from schools and libraries in Castletownbere, Skibbereen, Schull and Bantry as part of the Children’s Book Festival; with Dunmanway and Clonakilty still to come. I’ll probably dedicate a whole post to this on its own, but I’m really happy to announce a 3-hour Gothic Literature for Teens workshop in Ardagh, County Longford, at the end of this month as part of their Fright Fest – full details here!